Partners for this event include; SUP Sarasota and Suncoast Waterkeeper (kayak sponsor), Sarasota Birding Guide (lunch sponsor), Florida Audubon Society, and Around the Bend Nature Tours. Bowlees Creek is an island with sand spurs and mangrove roots. This will be a strenuous event and volunteers will be cleaning up trash and debris in the interior and perimeter of the island. We will be paddling less than 1/4 mile from the launch site to the island and kayaking through a boat channel. We will meet at the end of Whitfield Ave and everyone will be required to bring their own canoe or kayak. If you do not have your own kayak and would like to participate, there are a limited number of kayaks that will be available to use, however you MUST reserve a space before March 13 in order to use a kayak sponsored by SUP-Sarasota. Most of the these kayaks are tandems. You can also rent your kayak from a local provider. Please wear hat, sunscreen, clothes that can get dirty/wet, and work gloves. Please bring a reusable water bottle to help reduce our plastic pollution. We strongly suggest carpooling. Catered lunch will be provided for all volunteers after the event is done! Questions? Contact Camille Boffa at: info@sarasotabay.org, 941-955-8085. 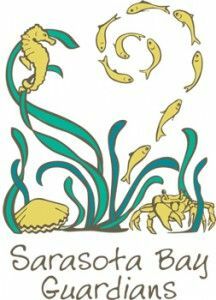 Sarasota Bay Estuary Program is dedicated to restoring the area's greatest natural asset-Sarasota Bay. Its unique program strives to improve water quality, increase habitat and enhance the natural resources of the area for use and enjoyment by the public. Sarasota Bay is one of 28 estuaries in the United States that have been named by the U.S. Congress as an "estuary of national significance."